Take a bath in pheromones! Wash off the soap...NOT the Pheromones! Our soaps are made with essential oil fragrances which are absorbed quickly by your skin. 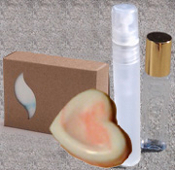 Both pheromones and fragrance last longer, keep skin soft. 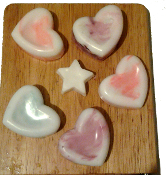 Bar Soap: Natural Shea Butter and glycerin. 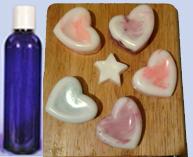 Silky Pheromone Shower Gel in 2 oz or 4 oz bottles.